Ideal Office Ink Stamp "Checked"
This stamp is ideal for your administrative tasks. Trodat Printy 4750/L comes ready-to-use with CHECKED printed above a 4 mm date. The text has the size of 41 x 24 mm and prints in blue. The date prints centrally in red in the format: day, month (in letters) and year. Being one of Trodat's bestsellers, the stamp is climate-neutral: made from 70% of recycled plastic. Suitable replacement ink pads 6/4750/2, packed in 2 pieces in a convenient blister, are available to further extend the life of your self-inking stamp. 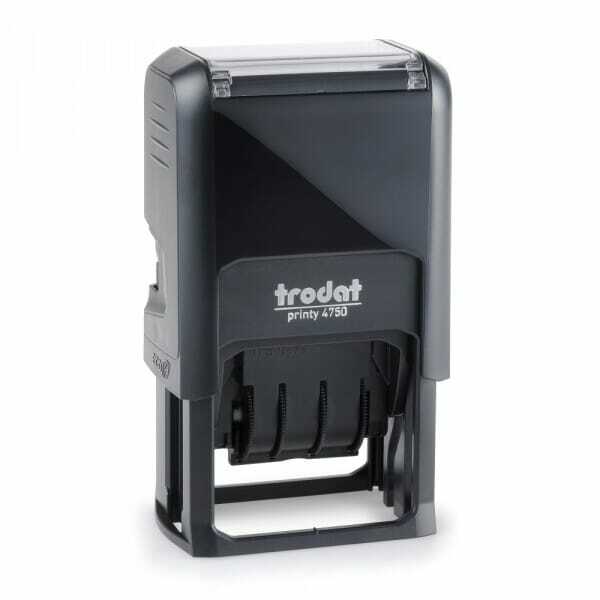 Customer evaluation for "Trodat Printy dater 4750L - Checked"